About the Children's Department: Family Ministry on a Shoestring - VBS! So . . . I've been posting all month about family ministry; this week I want to focus on ideas for family ministry events/activities . . . all on a shoestring - so any church can do these things! Do you plan family ministry events/activities? While there are some which can be very expensive, there are also lots of ideas which are very affordable . . . just may take some planning. With Summer just a few months away and kids out of school, it is the ideal time to kick your children's and family ministry into high gear! Add to this the rising gas prices . . . and rising everything prices . . . and you are likely to have children and families looking for things to do on a very limited budget. This gives you additional opportunity to reach out to children and families, so all this week I'll look at some ideas for children's and family ministry you could do on a shoe-string! 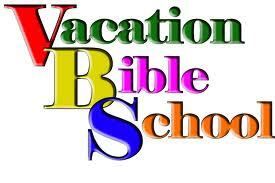 Let's begin with Vacation Bible School . . . yes, VBS! Many churches plan VBS each year . . . most of you are evaluating curriculum, planning to recruit your volunteers and have your week of VBS scheduled. If you have not already done this, take a moment to think about how you might be able to offer a VBS ministry to the children in your church and community . . .
Use VBS for Sundays - this will allow you to utilize volunteers you already have and will give a shot of energy to your Summer Sundays! Plan your week of VBS for the second or third week in August - by August kids are feeling bored and are looking for something to do to get out of the house. Determine which VBS resource you would like to use - check my reviews and comparison chart - and then purchase just the Director's guide and the station leader books for the learning stations you want to use. This allows you to offer a VBS on a shoe-string! Have the people in your church donate the supplies for crafts or in place of crafts, focus on serving others and involve your children in a hands-on service project . . . they could assemble coloring books for children in a local shelter - check all the free coloring pages you can download from Ministry-to-Children. It isn't too expensive to offer VBS to the children and families in your church and community! Tomorrow I'll talk about another family ministry on a shoestring idea - involving the children and families in your church and community in Summer Service Days!